Question: Is cream cheese gluten-free? Answer: Cream cheese naturally does not contain gluten. Gluten is found in wheat, rye, barley, spelt, and other grains. The typical ingredients in cream cheese are milk, cream, cheese culture, salt, and locust bean gum, xanthan gum or carob bean gum (thickening agent). These ingredients are gluten-free. Gluten is not a necessary ingredient to make cream cheese. Organic Valley – The cream cheese and Neufchatel are gluten-free. 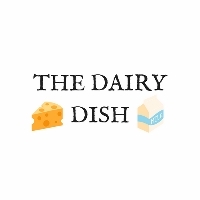 Challenge Dairy – Gluten-free per contact with the company. Cabot – Gluten-free per their website. Daiya – Their cream cheese style spreads are gluten-free. Flavors include plain, strawberry, and chive & onion. Nancy’s – Gluten-free per their website. Green Valley Organic – No gluten in the cream cheese per the company. Philadelphia – The manufacturer (Kraft) will list gluten containing ingredients, if any, on the label. For example, “natural flavor (contains wheat). They will not label products gluten-free unless they have been tested to meet the FDA definition of gluten-free (less than 20 ppm gluten). See here for additional details. We could not find gluten containing ingredients in the cream cheese we reviewed. However, we also noticed that the products were not labeled as gluten-free on the packaging. While the majority of cream cheese products are gluten-free, it is possible that there are some with gluten out there. Additionally, ingredients can change at anytime, which can cause a product to no longer be considered gluten-free. Be sure to verify with the manufacturer or labeling that a cream cheese is gluten-free if gluten is a concern for you.